We make it easy to promote your event! Just pick & choose from our a la cart design menu to customize your own event marketing package. 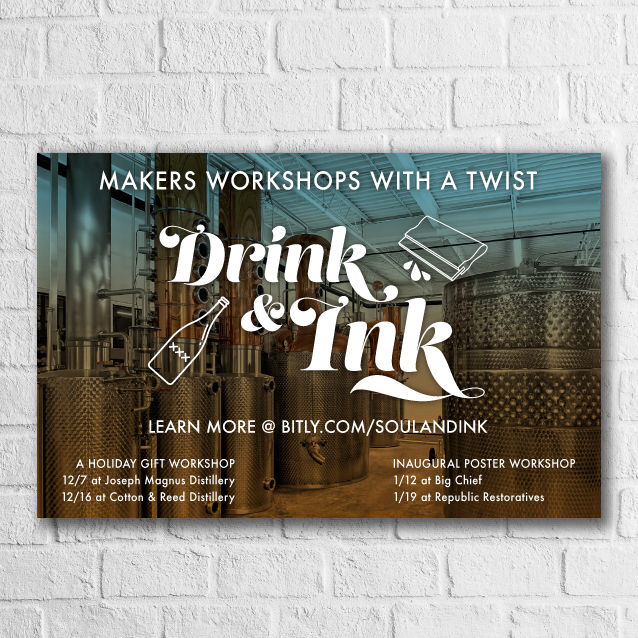 Check out graphics from our popular Drink & Ink series. Event Specific Logo $500 : pricing may vary depending on complexity of logo. Please note that our standard pricing listed is based on simple design and set up, pricing may vary depending on complexity of the project. We also design branding & identity, invitations, e-newsletters & Squarespace websites.